This ultra-emollient, velvety lip treatment nourishes delicate, dry or peeling lips as soon as it touches them thanks to potent skin conditioners. The natural, vegan formula contains a unique combination of restorative plant peptides, oils and extracts, including an Arctic berry complex, shea butter and sweet almond oil. Velvety soft and powered by nature, Skyn Iceland’s Berry Lip Fix will mark the end of dry, chapped lips for good and herald a new era of permanently kissable lips: at last! Rich in texture and packed with potent skin conditioners, this natural and vegan lip treatment contains a unique combination of restorative plant peptides, oils and extracts, to nourish and soften that oh-so delicate skin on and around lips. Featuring an arctic berry complex – a proprietary blend of super fruits from the arctic, including cloudberry and cranberry seed oils – the formula soothes and protects against free radicals, while wintered red algae bolsters skin’s barrier function and takes even the most impossibly parched lips back to a pampered, suppler looking state. Apply to clean, makeup-free lips after applying Plumping Lip Gels to enhance their benefits. Repeat as needed. Can also be applied on it’s own for an instant boost of hydration. Skyn Iceland typically puts out good products, so the quality and performance with this one confused me a lot. The applicator isn't the best considering it takes quite a bit of effort to squeeze out. The texture is gritty, which surprised me the first time I applied it, I had to re-check the label to see if it was an exfoliator. Occasionally the product would come out in liquid form because the formula had seperated, if it had been sitting too long out, but a little shake would do the trick. As for the product itself, it did absolutely nothing for my lips. On immediate application, it has a strange cooling feeling that disappears after a few minutes, but so does any moisture it provided. I had to reapply multiple times, and even then my lips would be dry and a bit sore from all the minty tingling. Wouldn't recommend or repurchase. 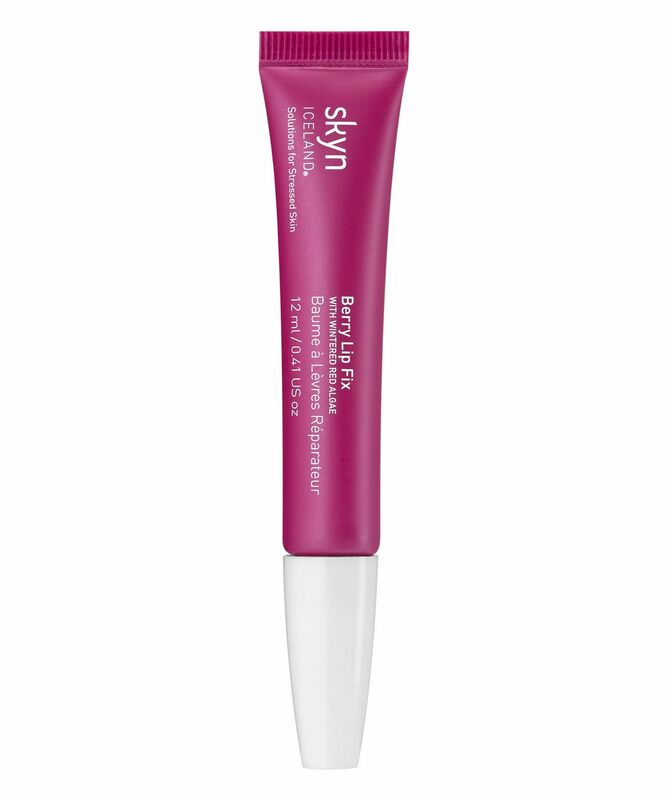 This has a horrible gritty texture and it's so, so hard to get out of the tube and apply! Doesn't moisture at all really either. It’s a very mediocre lip balm with a weird heterogeneous texture. I mean, it has lumps, isn’t it strange? The cooling effect, on the other hand, I enjoy, and the moisturising properties are alright if not impressive. There is a weird tingling/maybe cooling effect when first applied which I don't like. Doesn't last more than five minutes, not hydrating at all. Leaves behind a weird gritty texture and taste which I can't stand. The packaging is abysmal. The nozzle keeps edging off as I squeeze the tube, and the product itself is extremely hard to squeeze out.